We addressed 13 new features and improvements, and fixed 13 bugs. The long awaited Prometheus 2 release is here! 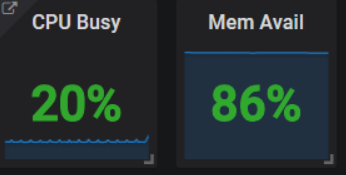 By upgrading to PMM release 1.13, Percona’s internal testing has shown you will achieve a 3x-10x reduction in CPU usage, which translates into PMM Server being able to handle more instances than you could in 1.12. 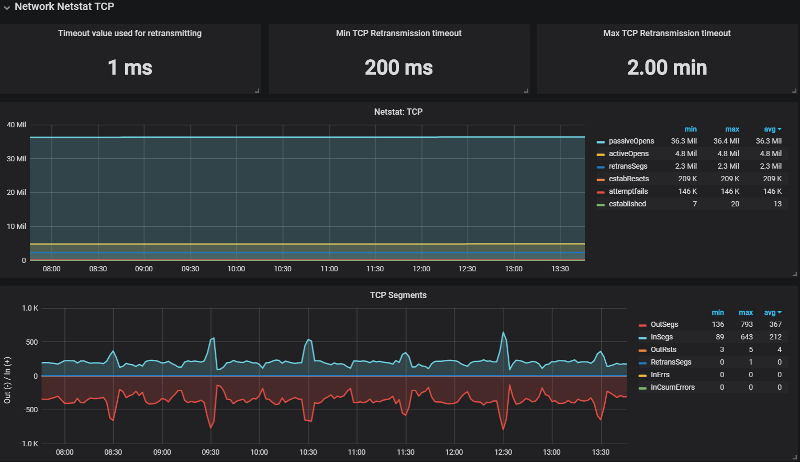 You won’t see any gaps in graphs since internally PMM Server will run two instances of Prometheus and leverage remote_read in order to provide consistent graphs! Our Engineering teams have worked very hard to make this upgrade as transparent as possible – hats off to them for their efforts!! 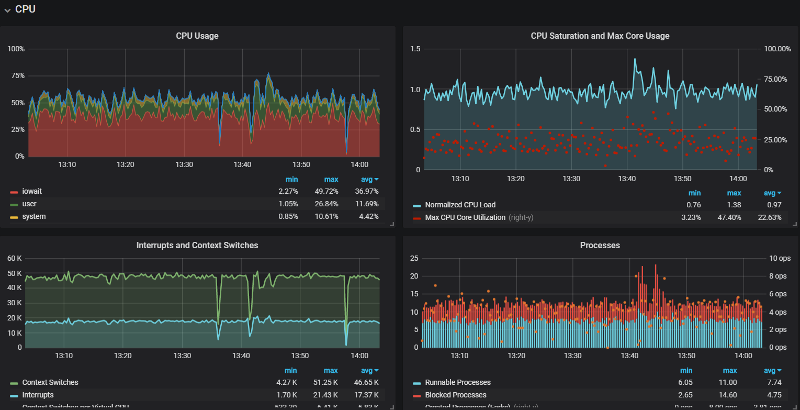 Lastly on Prometheus 2, we also included a new set of graphs to the Prometheus Dashboard to help you better understand when your PMM Server may run out of space. We hope you find this useful! 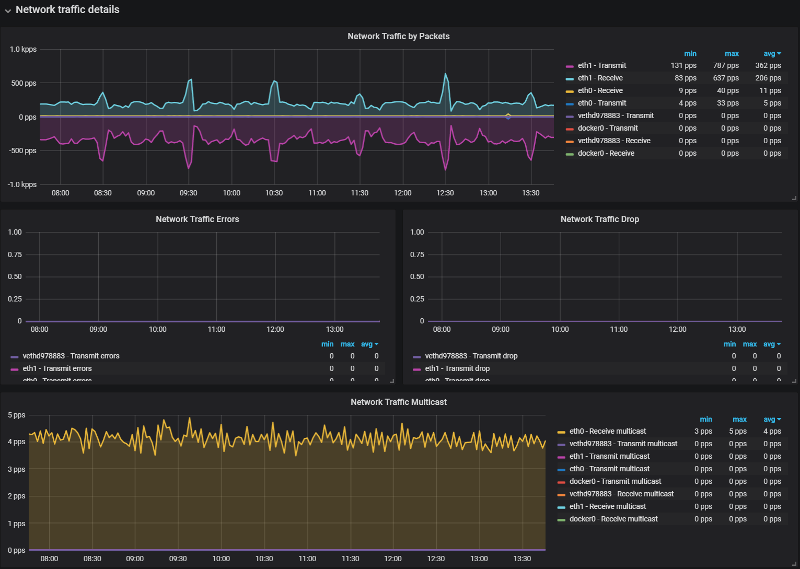 We’re introducing a new dashboard that focuses on all things Networking – we placed a Last Hour panel highlighting high-level network metrics, and then drill into Network Traffic + Details, then focus on TCP, UDP, and ICMP behavior. 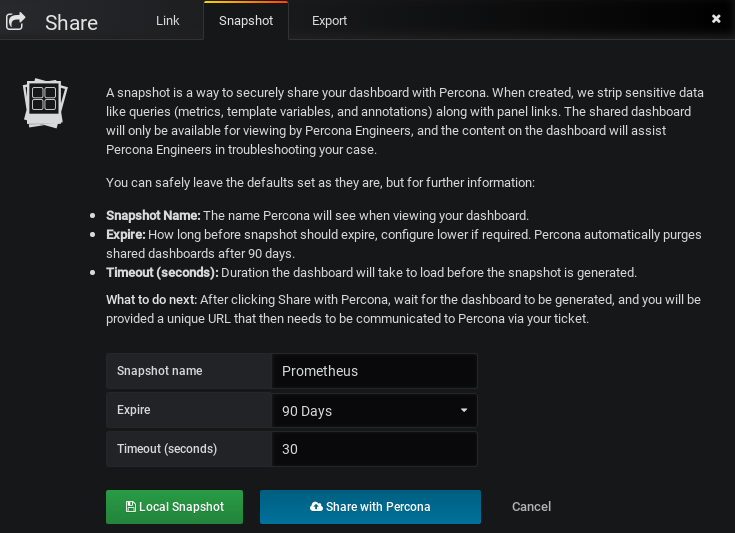 Of most interest to current Percona Customers, we’ve clarified the instructions on how to take a snapshot of a Dashboard in order to highlight that you are securely sharing with Percona. We’ve also configured the sharing timeout to 30 seconds (up from 4 seconds) so that we more reliably share useful data to Percona Support Engineers, as shorter timeout led to incomplete graphs being shared. Hi, it is safe to migrate from 1.12? 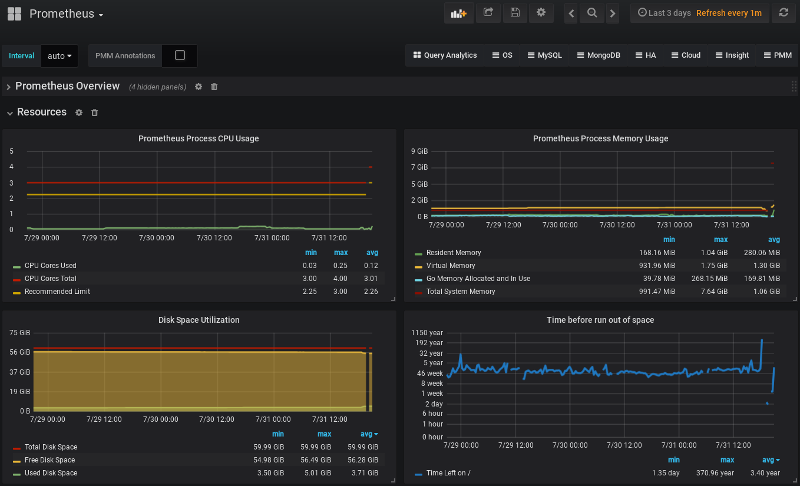 Do you guys think you’ll ever add backup scheduling and point in time recovery functionality to PMM? That would be amazing. I seriously think you’d get a crazy amount of adoption. Hi, thanks for the new cool features. But my Numa Dashboard is empty. Any ideas how to fill it with data? I have also updated the pmm-client. 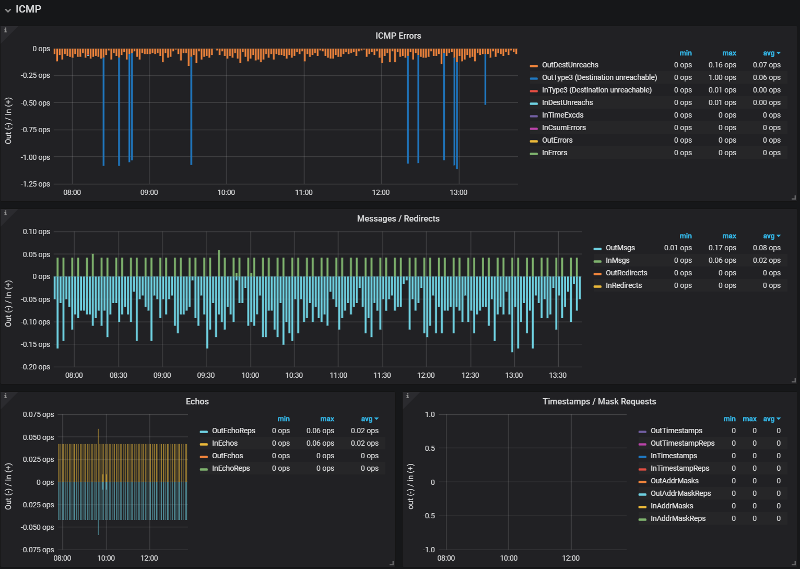 monitor metrics。But how to integate the Redis monitor into PMM? could you give an example? 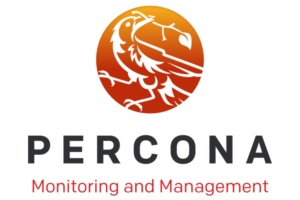 and how to monitor Group replication（MySQL and Percona）by PMM？Thanks. You can monitor external services by leveraging PMM’s External Exporters support. We haven’t yet made an effort to include InnoDB Group Replication into mysqld_exporter, but we’d welcome PRs! What is the plan for Mysql 8 Group replication added to PMM ? My requirement is to create clustered PMM monitoring environment. (i.e. HA Capabilities), is this possible in PMM? 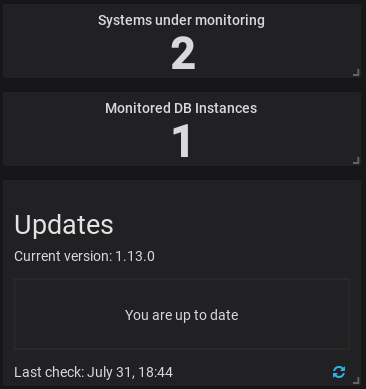 Intent is to create 2 clustered monitoring server and then use virtiual IP in client connection to route traffic. i.e. data would be shared between 2 PMM servers. Any pointers available? At this time we don’t have a supported method of deploying PMM with HA capabilities directly in the product. Please let us know how virtual IP works for your needs!